Replaces oe number : 926945. Notes : w/ 4-134 F-Head Engine; Air Cleaner To Carburetor Horn Hose. Condition : New. Therefore all implied warranties that may apply to your part are limited to the duration of this written warranty. 1959 Willys Jeep Air Filter Box Clamp ONLY!!! Limited five year Manufacturer's warranty. Need More Jeep Parts ?. Bullet4 Limited 5 Year Warranty. Notes Air Horn To Carb. Condition : New. Therefore all implied warranties that may apply to your part are limited to the duration of this written warranty. Each warranty gives you specific rights, and you may have other rights which vary from state to state. Air Horn to Carburetor Hose (134 CI L-Head), 1941-1945 MB, 1941-1945 GPW, 1945-1949 CJ2A, 1948-1953 CJ3A, 1950-1952 M38. 1948-1953 CJ3A. 1941-1945 GPW. 1950-1952 M38. 1945-1949 CJ2A. Fits: Jeep Willys. Crossover Tube (134 CI L-Head), Includes Bracket, 1941-1945 MB, 1941-1945 GPW. Bullet4 Includes bracket. Limited five year Manufacturer's warranty. Need More Jeep Parts ?. Bullet5 Limited 5 Year Warranty. The engine types may include 2.2L 2197CC 134Cu. l4 GAS F-HEAD Naturally Aspirated, 2.2L 2197CC 134Cu. l4 GAS L-HEAD Naturally Aspirated. This part fits vehicles made in the following years 1946, 1947, 1948, 1949, 1950, 1951, 1952, 1953. 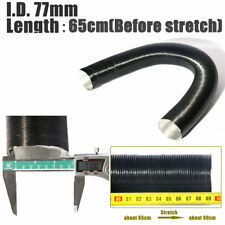 Air Horn to Carburetor Hose (134 CI L-Head) 1941-1945 MB 1941-1945 GPW 1945-1949 CJ2A 1948-1953 CJ3A 1950-1952 M38. Limited five year Manufacturer's warranty. WARNING : This product can expose you to chemicals including Styrene, which is known to the State of California to cause cancer. This part generally fits Willys vehicles and includes models such as MB with the trims of Base. The engine types may include 2.2L 2197CC 134Cu. l4 GAS L-HEAD Naturally Aspirated. This part fits vehicles made in the following years 1942. Warranty Type:Manufacturer Warranty. Warranty Duration:Unspecified Length. Part Number: 12021.59. Warranty Type:Manufacturer Warranty. Warranty Duration:3 Year. Part Number: 12021.59. Throttle Cable. Throttle Cable; Black Knob;. Throttle Cable. Throttle Cable; Black Knob;. Product Details. Limited 5 Year Warranty. Direct Fit. Grab a Mahogany steering wheel from Morningwood! Working horn button included, with Morningwood logo. 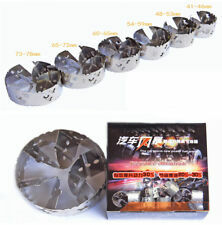 41.2mm(1.6") deep dish design. 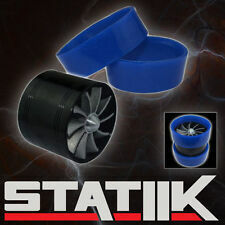 Air Cleaner Tube; Rubber; Air Cleaner To Air Horn;. Air Cleaner Tube. Product Details. Limited 5 Year Warranty. Direct Fit. 17735.01 Throttle Cable; Black Knob;. Throttle Cable. Throttle Cable; Black Knob;. Part Type Throttle Cable. If a freight claim is not filed then we can not do anything. Discover Card. Our velocity stacks are designed to optimize and maximize the entry of air flow into the vehicle's induction system. High velocity intake equals more horsepower. Our stacks are made from high quality 7075 billet aluminum for rapid heat dissipation, eliminating heat further improves performance. The engine types may include 2.2L 134Cu. l4 GAS Naturally Aspirated, 2.2L 2197CC 134Cu. l4 GAS F-HEAD Naturally Aspirated, 2.2L 2197CC 134Cu. l4 GAS L-HEAD Naturally Aspirated. This part fits vehicles made in the following years 1942, 1946, 1947, 1948, 1949, 1950, 1951, 1952, 1953, 1954, 1955, 1956, 1957, 1958, 1959, 1960, 1961, 1962, 1963, 1964, 1965, 1966, 1967, 1968. CONDITION: NEW. SKU: OAI17709.01. 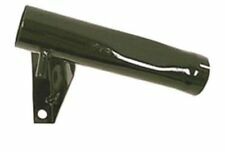 Fits 1941 to 1971 CJ;4 cylinder 134 engine;Without vacuum wipers;Glass bowl. Lighting & Lighting Accessories. special deals. Air Cleaner Tube; Rubber; Air Horn To Carb;. Air Cleaner Tube. Air Cleaner Tube; Rubber; Air Cleaner To Air Horn;. The engine types may include 2.2L 134Cu. l4 GAS Naturally Aspirated, 2.2L 2197CC 134Cu. l4 GAS F-HEAD Naturally Aspirated, 2.2L 2197CC 134Cu. l4 GAS L-HEAD Naturally Aspirated. This part fits vehicles made in the following years 1954, 1955, 1956, 1957, 1958, 1959, 1960, 1968, 1969, 1970, 1971. Crossover Tube. Crossover Tube; w/Bracket; Steel;. Air Cleaner Tube. 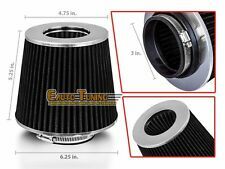 Air Cleaner Tube; Rubber; Air Cleaner To Air Horn;. Air Cleaner Tube. Air Cleaner Tube; Rubber; Air Horn To Carb;. Air Cleaner Tube. Product Details. Limited 5 Year Warranty. Direct Fit.